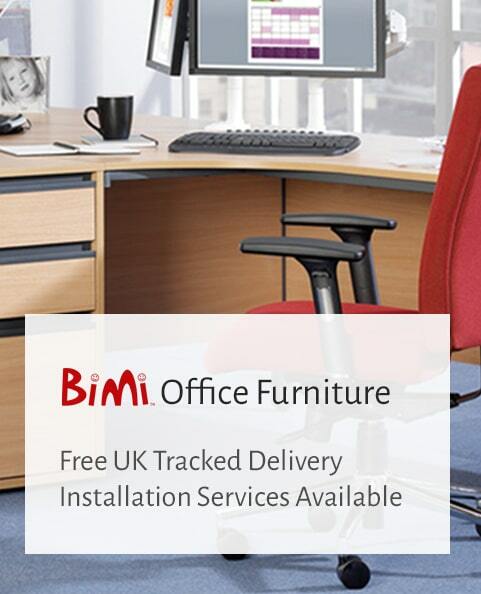 BiMi is an office furniture outlet where you can shop a large range of office products and furniture, from the comfort of your own home or office. So what makes Bimi Office Furniture Outlet so different? We buy in bulk direct from manufacturers, selling top brand office furniture with outlet price tags. Buying direct means we can pass the savings straight down to you as the customer. Shop an extensive range of quality office chairs, office desks, storage units and accessories. Our product range is constantly being updated and expanded, so keep checking back to see what’s new. Forget the traffic, the parking problems and having to carry all those boxes; just browse the store for some great bargains! What’s more your order will be dispatched within one working day and sent via ‘trackable’ courier (Exclusions apply) delivered direct to your door! We hope you enjoy our shopping experience.